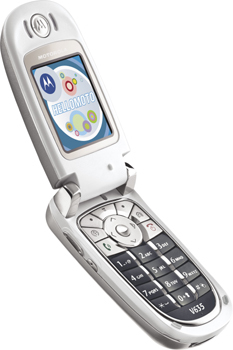 The Motorola V635 was officially announced today at CES. MobileTracker first reported on this handset in late December when the FCC approved the device. Features of the Motorola V635 include: * Megapixel camera with video capture * TransFlash memory slot * EDGE * Bluetooth The Motorola V635 is expected to be available in the first quarter of 2005. Click on thumbnail at right to zoom. 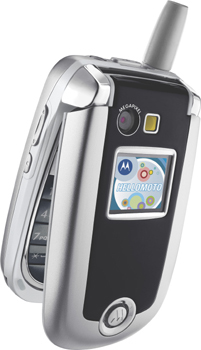 More images of the Motorola V635 are available below.